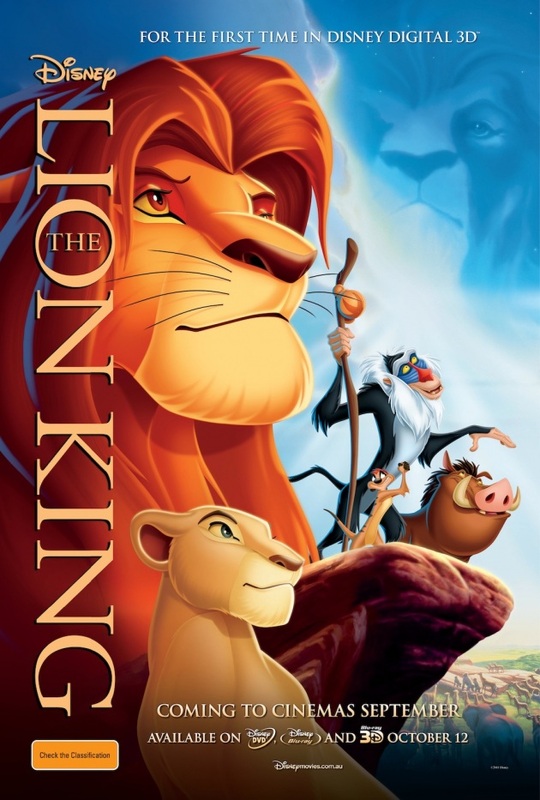 The 1994 Disney classic, The Lion King, returned to the big screen for a release in 3D. The Disney Magic is still present in The Lion King, a story about a lion (the King of the Jungle) who has to struggle with his self-identity before he finally finds it. We will put on our 3D glasses and immersed ourselves in a world of colorful nostalgia for our youth. We must go to see this movie put me right back into the prime of our childhood. I was again looking forward to my favorite lines and the song "Hakuna Matata." Yes, there’s a lot of history in all our lives that revolves around The Lion King. If there’s one Disney movie that touched generations, it’s this one. Hakuna matata, anyone? Do you agree with me guys? Haha! Many people already know the tale of young Simba and his father, Mufasa, king of Pride Rock. Scar, Simba's uncle, kills his older brother to become king and tells Simba to run away. Simba flees to the jungle and ends up with two unlikely friends who help him realize his place as the King of Pride Rock. "The Lion King" is primarily about guilt and redemption. Simba, a young lion cub and heir to his father's throne, is led to believe that he was the cause of the king's death. The trauma caused by this is so great that Simba goes into exile, attempting to find peace-of-mind through anonymity in the company of a warthog and a meerkat. But it's never that easy to escape the past. Many of the people who flocked to the theater went to enjoy a reboot of one of their favorite Disney movies. Growing up in the ‘90s, everyone had their favorite Disney movie and this limited re-release gave people a chance to remember why they loved this one. "The Lion King" is a timeless movie that transcends generations. It is a tale about survival, betrayal, importance of family and love. It is a tale that ought to stay with us every day of our life. It is a movie that doesn’t shy away from hurt – even if it is masked often by protective parents and their explanations. "The Lion King" is a movie for the ages. And we are lucky we happened to be those ages. 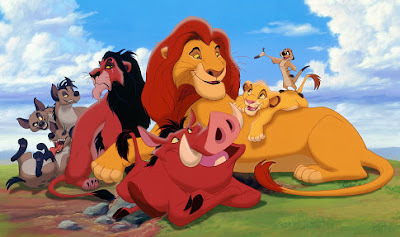 "The Lion King" is still a true generational film! "The Lion King” has stood test of time and remains just as spectacular as it did back in 1994. Don't dare miss the return of "The Lion King" on the bigscreen in 3D format on December 15, 2011!